This essential guide to a trading strategy offers a viable (and profitable) alternative to both day-trading and the buy-and-hold mentality. Swing Trading presents the methods that allow busy people to hold positions for as long as a week to a month and then exit with a handsome profit. Where day traders execute many trades for nickels and dimes, swing traders take larger positions and make few moves for more substantial returns. This resource focuses on how you can achieve success and reap the rewards of this unique and profitable trading method. 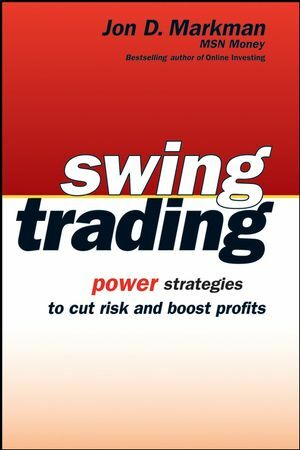 You'll find step-by-step guidance and valuable tips on free online tools you can use to apply the swing trading method and substantially grow your portfolio. Order your copy today. Jon D. Markman is Senior Investment Strategist and Portfolio Manager at Greenbook Investment Management. He also publishes the weekly StockTactics Advisor investment newsletter, and is a columnist for CNBC on MSN Money and TheStreet.com. From 1997 to 2002, he was managing editor of CNBC on MSN Money. From 1982 to 1997, he was an editor, reporter, and investments columnist at the Los Angeles Times. A graduate of Duke University and the Columbia University Graduate School of Journalism, Markman is author of the bestselling Online Investing and Swing Trading. He received a Gerald Loeb Award for distinguished financial journalism in 2003, and Sigma Delta Chi/Society of Professional Journalists national and regional awards for his 2001 reporting on Enron. He lives in Seattle with his wife and two children. Chapter 1. Terry Bedford-"Price Is Everything." Chapter 5. Richard Rhodes-The Macroeconomic Trend Trader. Chapter 6. Philerlanger-Dr. Sentiment and Mr. Strength.